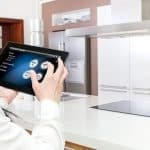 Some smart home devices require professional installation and permanent alterations. If you live in an apartment, that may limit which gadgets you can install. Fortunately, there are still a number of products you can use to turn your rental into a smart apartment. The August Smart Lock is a revolutionary way to keep your apartment door secure. Have you ever needed someone to get in your place while you were away? Do you have a backup key with a neighbor or friend? Now you don’t have to worry about them losing or misplacing a key. You have the capability of creating temporary keys based on time and date as well as your own virtual key. Beyond its obvious features, it also includes a 24/7 track of who has come and gone. You can access this from anywhere and everywhere! This increases the security of your living space as well as peace of mind. Why is it apartment friendly? The August Lock only requires replacing the inside of your existing deadbolt. If you are in a lease or rental situation, your landlord will most likely have no issue with this considering it’s going to increase security. It’s easy to install, and the benefits are huge. Smart lights are one of the easiest steps to making your space a smart space. They are also incredibly affordable. You will see the benefits immediately whether it be from an energy, security, entertainment, or even health standpoint. Smart lights increase energy efficiency by your ability to schedule them. If you fall asleep on the couch, your light will turn off at 11 p.m. instead of staying on until the next morning while you snore away. These lights can increase security by being placed on a schedule while you are away. Lights on in a home or living space deter thefts! If you have your lights on a system while you are on vacation, no one will even know you aren’t there. The entertainment value of these lights is off the charts. There are so many different features in different lights. 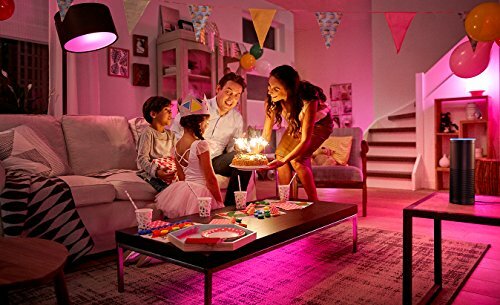 You can set your lights to come on gradually while you wake up or even set a fun color for a party. The options are virtually endless! Smart lights are apartment friendly because they require no extra time or energy on your part. You simply screw in the light bulb to your light fixture and sync it with your phone. That’s it! No 2 hours of reading directions to program it. As an added bonus, they are reasonably priced! Smart switches or plugins are a similar concept to the smart lights. You can plug your lights into them and customize it to your life. Want to have your lights on when you come home from work? No problem! Simply plug in the switch to your outlet and use your smartphone or tablet to set it up. They also can help control energy efficiency. You can customize your plugins to turn your light off after a set amount of time. So many people fall asleep reading in bed with the light on. Now you can have your light turn off and sleep comfortably through the night instead of waking up to a bright light at 2 a.m.
Like the smart lights, these products comply with what you already have. Simply plug them into your outlet and plug your light into them. They are reasonably priced and can pay themselves off over time with their energy saving properties. There are endless possibilities of things to go wrong every day. This can weigh heavily on your mind while you are away from your place. With the Nest Cam portable connected home surveillance cam, you can now check in anytime from anywhere. Do you own a pet? If you do, this is the perfect way to keep tabs on them! You can feel good about leaving for the day and knowing they are happy and healthy. Does Fido like to get into the trash? 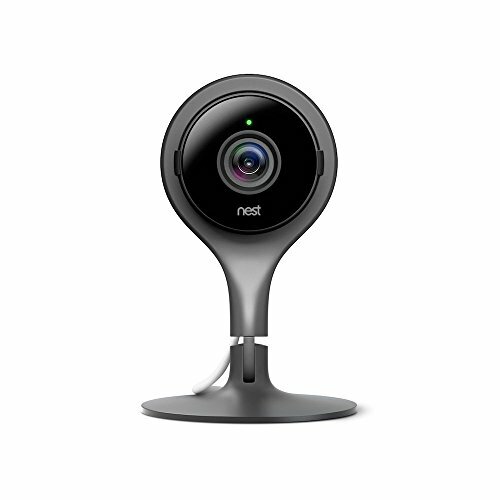 You can yell “No!” at him with the Nest Cam’s two-way speaker! Not only are you buying safety and security, but stress relief for yourself and anyone you may live with. While you can check in whenever you want, it can be stressful to check all the time. 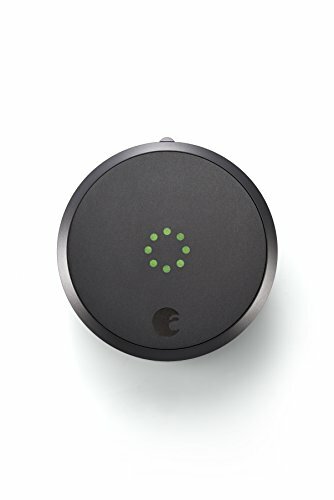 So, Nest will actually alert you when it detects movement in a time where you are set to “away”. This is such a great feature to put you at ease! 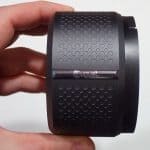 The Nest Cam is small and discreet. It’s easy to install and doesn’t require hardwiring of any sort making it a perfect apartment cam. It has a 130-degree wide-angle precision view day or night. This is the best security system for a leased or rented space. If you haven’t heard of Siri you are not paying attention. Having a voice assistant device is like having your own assistant 24/7. Amazon Echo and Google Home are popular choices that have worked a lot of the bugs out. 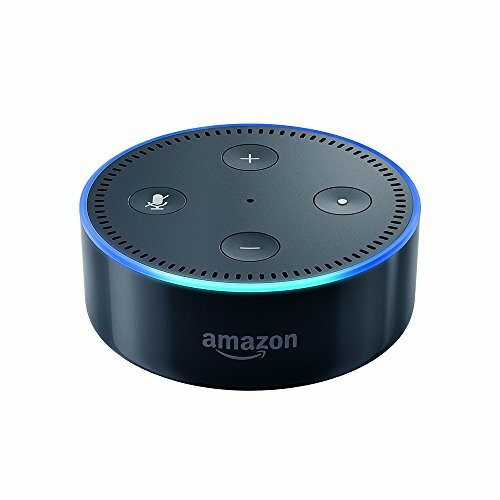 Choose from the full-size Echo or save some money and space and get the Echo Dot. Want to turn some jazz music on while cooking? Simply voice-activate your assistant and ask them to play jazz music. That’s it! Almost everyone I know struggles with remembering everything every day. Our lives are so busy and overcomplicated that it would be crazy not to struggle with it. Use your voice assistant to remember things for you. You can even have them remind you of your appointments so you aren’t late or read you the morning news while you get ready! Voice assistants are typically very small and can blend in seamlessly with your décor. They also are really easy to set up. Once in place, you can have them integrate all your other smart home features, becoming your central hub for all your electronics. Just because you are renting does mean you have to limit yourself with smart home products! 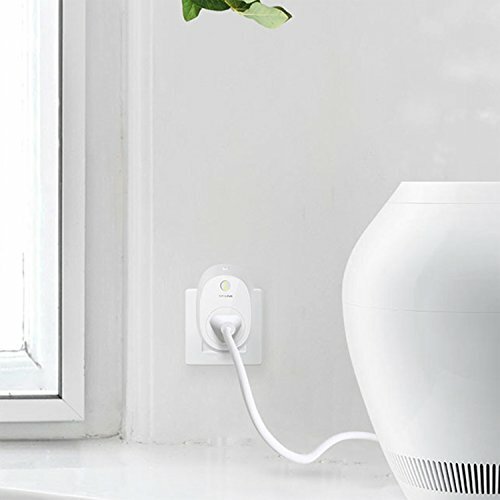 Many smart home products are adaptable to apartments, but these 5 really work smoothly in your space. They are affordable, compact, and blend in with your life. After you buy one or all of them, you will wonder what took you so long! Eric Blank blogs about smart homes and other connected technology here at thesmartcave.com. He enjoys technology, sports, outdoors, and dabbles in the dark realm of politics. He dreams of someday living in a castle on an island but for now will settle for smalltown, USA. 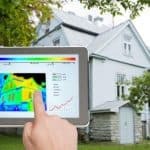 Z Wave Vs ZigBee: Which Is Better For Your Smart Home? 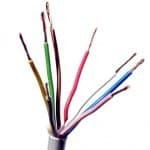 What is a C Wire? And Why’s it so Important for Your Smart Thermostat? How Much Cash Will A Smart Thermostat Save YOU?